Did you know? – your call handlers can waste up to 15% of their time searching for customer records! When it comes to maximising customer satisfaction and back-office productivity, every second counts. 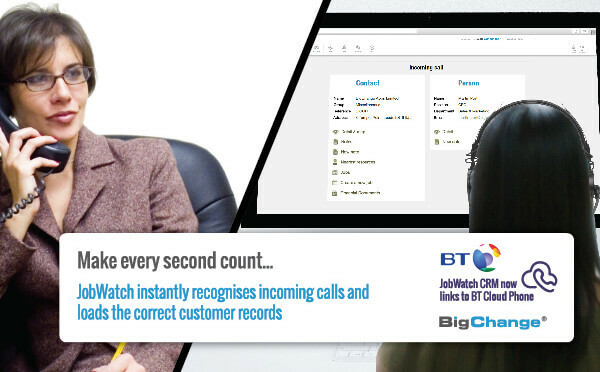 With this in mind, we’ve added an instant link to the BT Cloud phone system as part of JobWatch’s inbuilt CRM. According to productivity Analysts Aberdeen, companies with CRM phone integration enjoy 44% greater customer retention. Plus top performing businesses are 38% more likely to seamlessly integrate their CRM system with their telephony.